Dude's personal Sonic Adventure project, it endeavors to be the most complete and large-scale modification of the game. The main focus is on new levels using similar themes to the original levels occupying each slot, although recently the game's projected design has started to shift away from the constraints of the original level's themes due to Dude and MainMemory's constant progress reverse-engineering the parent program. 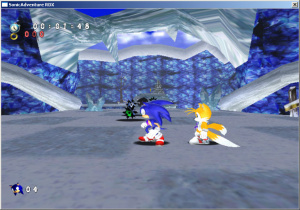 An early screenshot of Ice Cap being edited in 3ds MAX. Future levels in RDX will be made using a slightly more advanced process. The levels using this process start off in the concept stage, where they get drawn on paper first. Then, using a few reference scales as a guide (sonic is 10 units tall, can jump 40, etc.) 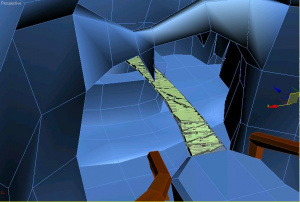 the first version of the level is constructed from a blank file in 3d studio MAX. Then after the entire level is constructed, lights are set up in the scene and the lighting info is baked into the Vertex Color channel. After the main mesh is done, the level is then UV mapped and textured. After the level is completed in the editing program, the original level in sonic.exe is 'deleted' by using 'Clear Level' in SADXLVL. The scene is then run through Dude's Nodetable exporter, which exports each node in the scene to a separate OBJ file, and translation information on each node into a seperate "nodetable.txt", which is imported into SADXLVL. After this, the CAM and SET files are generated using Hex Workshop and SADXLVL respectively. Responsible for Dude's Compiled Mesh Exporter, which uses trilists instead of tristrips for a more accurate export. The first hack to switch level header data, switching level Acts around. Generally, each new RDX release comes out randomly, with major updates available just in time for the Annual Hacking Contest. The current release coincided with the 2009 Hacking Contest, and the next (planned) release is on the date of the 2010 contest. 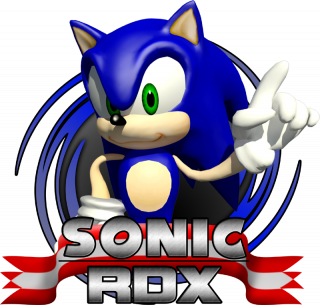 Due to the inherently large filesizes involved with a large-scale SADX hack, downloads are currently only available at the X-Hax site.